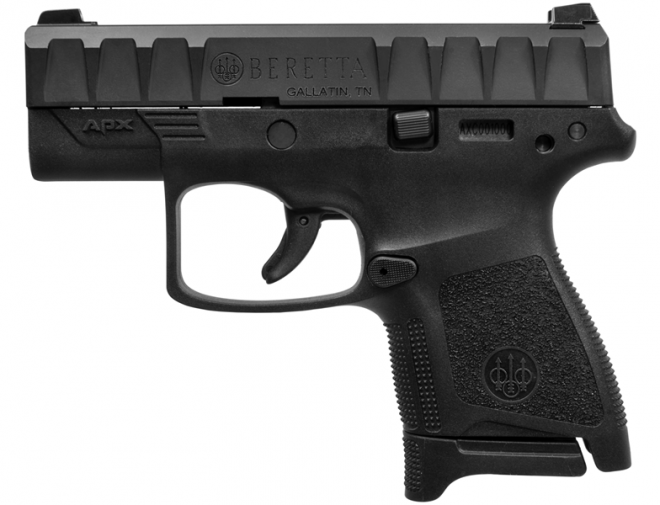 Beretta have priced the APX Carry at a competitive $450 (MSRP). It looks like Beretta have taken time to redesign the overall size to try and cut down on the width of the handgun. From what we have seen in the promotional videos and photos, there will be a large number of customization options available. 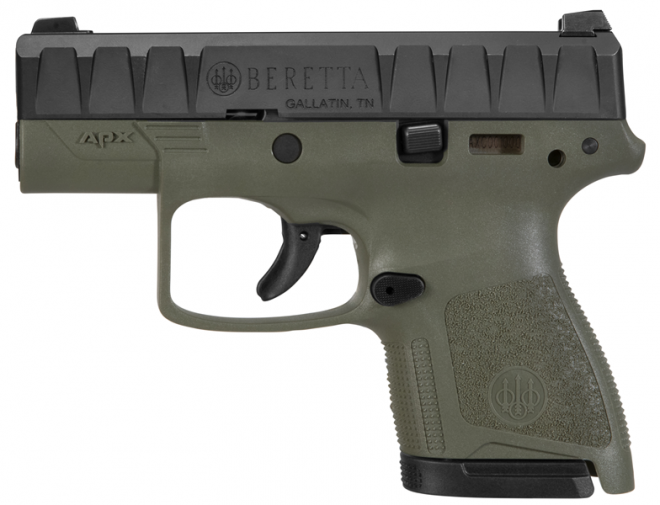 There will be several colors and magazine options, including a standard black finish as well as black, FDE, Wolf Grey and OD Green frames. 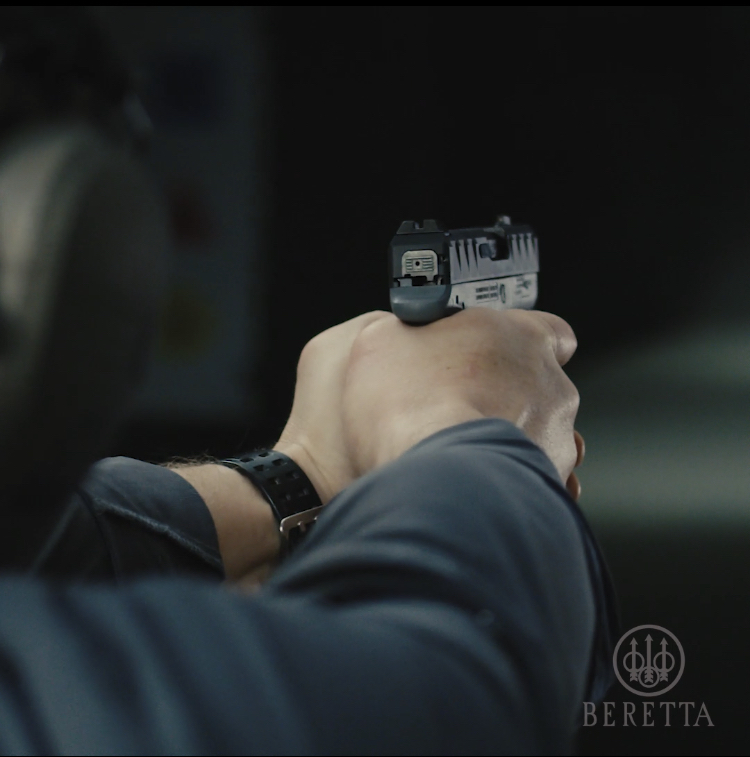 For sights, Beretta put black rear sights with a night sight front post. 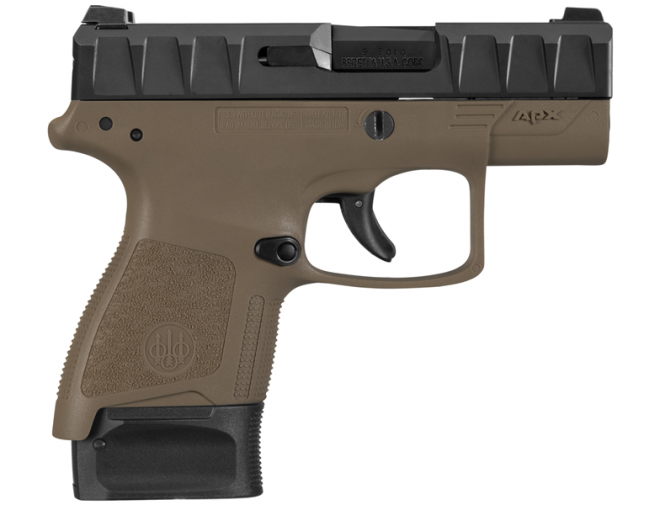 The 5.6 inch long slide look like it has inherited the APX’s unique slide cuts for manipulation. 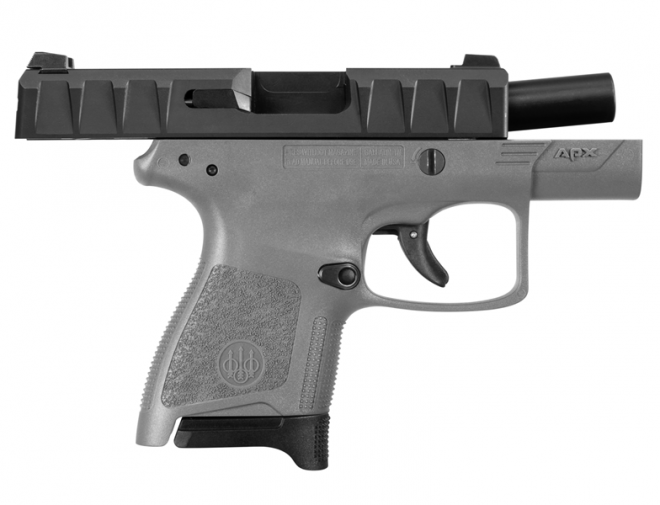 The pistol has a reversible magazine release and a left-side only slide release. 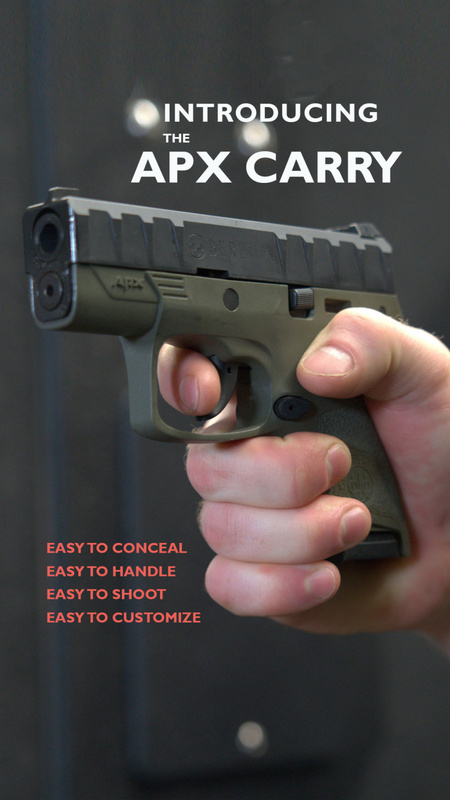 So far The Beretta APX Carry looks like a solid contender for the subcompact handgun market. It looks like Beretta is attempting to take on SIG Sauer and Glock with their new subcompact addition, find out more about it here. 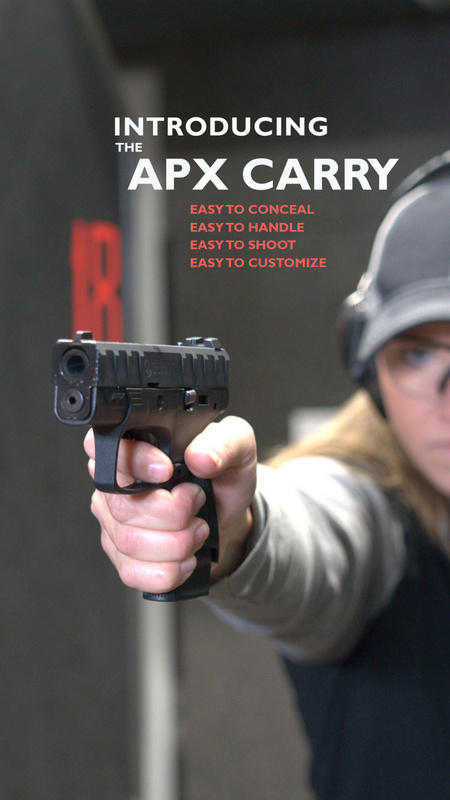 We will continue to cover the new APX Carry as more information comes out! Let us know what you guys think in the comments below.